Sauerkraut and gochugaru? 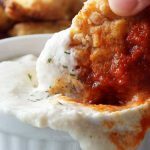 A little odd sounding but this spicy, tangy dip is delicious! Especially with the BEST vegan fried chicken. Gochugaru are Korean red pepper flakes. They’re spicy but not deadly hot. My first instinct was to blend in kimchi for a fresh tasting Korean-inspired salsa but I didn’t have any on hand. Note to self: make more homemade vegan kimchi. But sauerkraut, being fermented cabbage, was able to slip in as a pretty good alternative that’s easy to find in regular grocery stores. Everything worked out perfectly in the end. The lesson? Don’t give up; use what you have! 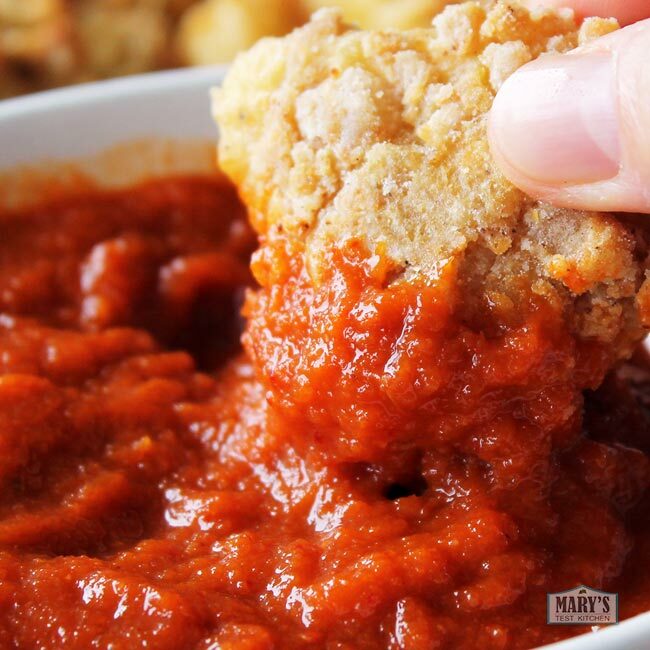 I always love a cooling dip to counter the heat that builds up from dunking vegan fried chicken in this thick red sauce over and over again. If you do too, try my “instant” yogurt-y dill dip that also uses sauerkraut. Two birds, one jar. International ingredients come together to make this fresh, spicy, tangy dip perfect for setting off the crunch of the best vegan fried chicken. Or make this as a topping for your favourite grain bowls or grilled veggies. Either way, all you'll need is the ingredients, a few minutes, and a blender. Blend until smooth. Add more sauerkraut juice if necessary to help everything blend. Use right away or store in the fridge for up to a week. *to make this recipe gluten-free, use gluten-free tamari, skip the gochujang and use gluten-free sriracha instead. This looks so delicious! I’ve never tried making something like this before at home but I’m definitely going to give it a try the next time I head to the grocery store! Thank you so much for sharing!